6) User can be use coupon code only once during offer period. 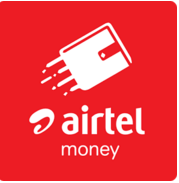 7) Airtel money can withdraw the offer at any time during the offer period. Tags – Airtel Money app offer, get 10% cashback on mobile recharge, free recharge tricks, recharge tricks, free recharge, online recharge, Airtel HOLI100, cashback and discount coupons.